Iranian television aired a computer-generated animation of an American aircraft carrier being sunk by an Iranian submarine. On February 1, Iran’s IRINN TV aired a computer-generated animation of an American aircraft carrier and four destroyers being sunk by an Iranian Ghadir-class submarine. At the end of the animation, a title reading "40 Years [For the Iranian Revolution]" appears, and a narrator says: "Our Iran has the technology to manufacture very advanced Ghadir-class submarines." The animation was translated by the Middle East Media Research Institute (MEMRI). In November of 2018, Iran’s navy said it acquired two new mini Ghadir-class submarines designed for operations in shallow waters such as the Persian Gulf. 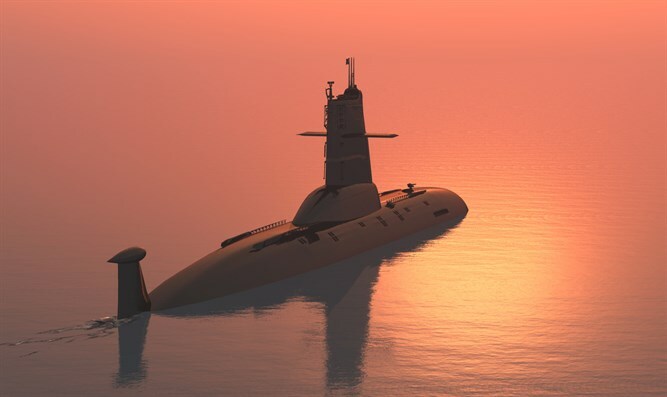 The two submarines have sonar-evading technology and can launch missiles from underwater, as well as fire torpedoes and drop marine mines, Iranian media claimed. That claim came after a commander in the Iranian Revolutionary Guards threatened US bases in Afghanistan, the UAE and Qatar, as well as US aircraft carriers in the Gulf. These bases, he said, are within range of Iranian missiles which have a range of 700 km (450 miles).